There is no lack of great moves at the 15th Slovenia Open Thermana Laško. Today was no exception. 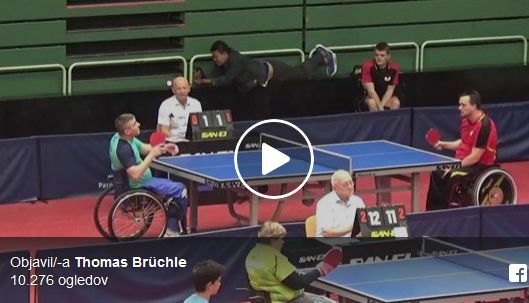 41-year old German champion Thomas Brüchle is responsible for an excelent move of the day in semi-finals of single events (class SM3). 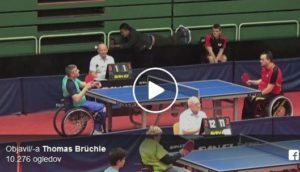 He scored one of the points with an exceptional behind-the-back trick shot.The move was so great that even his opponent, and later on defeated Ukrainan player Vasyl Petruniv, applauded him. Excellent point was also scored in the final’s game of class 11 between Hungarian Peter Palos and Belgian Florian Van Acker.